This April Brno will see the ninth year of the Days of Polish Culture festival, which celebrates Poland and Polish culture, with a special focus on the city of Poznan, a long-term partner city of Brno. Photos by KK. Brno, Apr 6 (BD) – The main organizers of the festival are the Jiřího Mahena Library in Brno and the Foreign Relations Department of Brno City Hall. Other partners are the Polish Institute in Prague, the Consulate General of the Republic of Poland in Ostrava, the City of Poznan, the Raczyński Library in Poznan, Kino Art, the POLONUS Polish Club in Brno and the Baroko Restaurant. The festival will kick off on Wednesday, April 10th, with a concert by the jazz trumpeter Maciej Fortuna at the Jiří Mahen Library, in the presence of the Mayor of Brno. 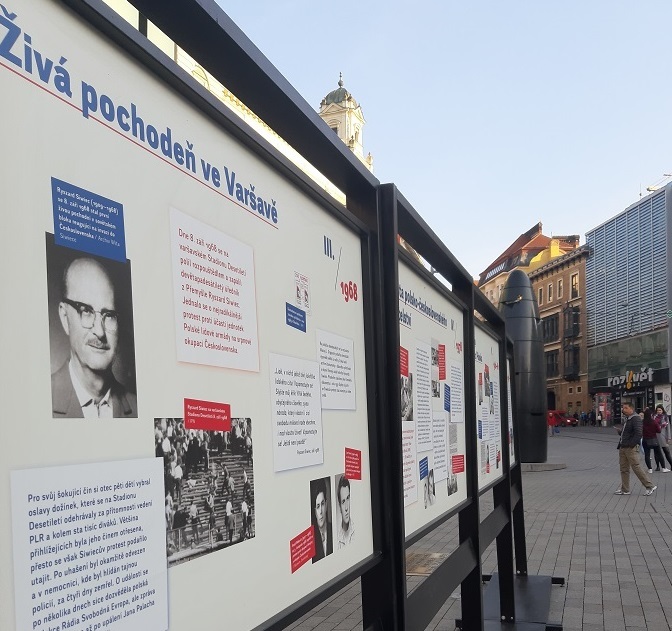 Other events throughout the month will include a photo exhibition in Náměstí Svobody, “Half a Century of Polish-Czech Relations 1968–2018”, and a Czech-Polish comics exhibition “Together in Bubbles” in the Jiřího Mahena Library. For children, there will be several literary workshops and performances, and Kino Art will be hosting “Kocham film”, a program of new Polish films. Representatives of Brno will also visit Poland as part of the festival: “On Wednesday, myself and the mayor will open the Days of Polish Culture festival in Brno, which I am looking forward to, and the following day, on Thursday, April 11, city leaders and representatives of the Brno Philharmonic will visit Katowice in Poland. We plan to visit the Katowice concert hall, where we will be shown around by its architect. There is also a meeting planned with Tomasz Konior, a member of the Janáček Cultural Center’s design team,” said Marek Fišer (Piráti), council member for culture. Brno has a particularly strong relationship with the city of Poznán. A partnership between Brno and Poznań was signed in September 1966, covering the fields of culture, tourism and local economy. An economic partnership was added in May 1989 and a mutual exchange of experts, especially university staff, was agreed. Brno and the Czech Republic will present themselves in Poznan this autumn as part of the regular event, Days of Czech Culture. You can view the whole program for the Days of Polish Culture festival here.